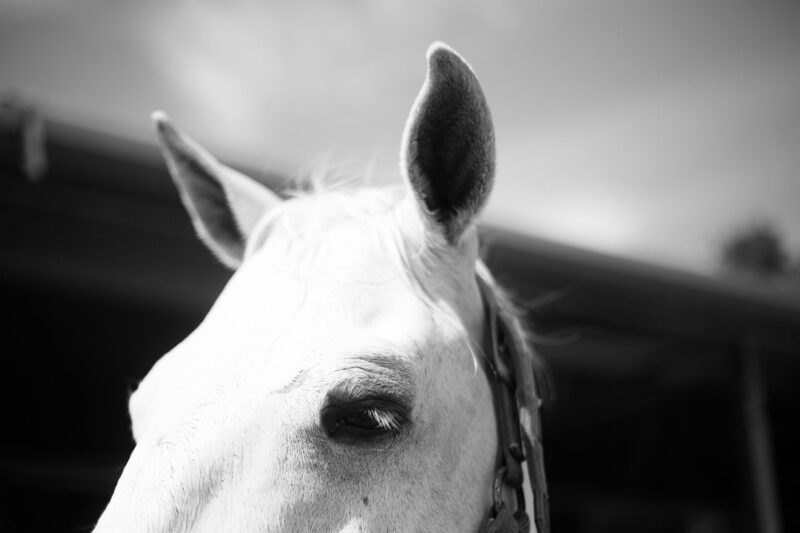 This essay is part of a series in which Poetry Northwest partners with Seattle Arts & Lectures to present reflections on visiting writers from the SAL Poetry Series. Alice Notley reads at 7:30 p.m. on Wednesday, April 5 at McCaw Hall. Previous installments include essays on Ross Gay and Lucie Brock-Broido. I first encountered Alice Notley’s work seeing her read in Seattle for the Rendezvous Reading Series cosponsored by Subtext. It was 1999. It was at Hugo House, which had just barely hatched. I was in my mid-20’s, not even hatched, in my first larval year of an MFA, second year performing as The Typing Explosion. In fact, it was fellow Typista Rachel Kessler, who was also a co-curator of the Rendezvous Readings, who insisted I go hear Notley. She’s coming from Paris! By way of New York (by way of the so-called second generation of The New York School); by way of Chicago; by way of Needles, California in the Mojave Dessert; by way of Bisbee, Arizona; by way of being born in 1945. “She has never tried to be anything other than a poet, and all her ancillary activities have been directed to that end,” says one bio. Who was she? I remember that night Alice Notley read like a flume—a torrential, streaming force—almost terrifying yet deeply invigorating, like a dynamic waterfall, or “in a gesture both ecstatic and trembling, like a sudden blaze rushing upward,” to quote Borges quoting pseudo-Dionysus describing the seraphim in A History of Angels. Seeing her read was a revelation, both for her words and her presence. At that point for me to read my own poems on stage would require much shaking and crying in a bathtub the night before, testing out my poems in barely a whisper. (Which might seems strange as I was performing often as The Typing Explosion then, creating extemporaneous poems in bright costumes before live audiences with my collaborative hive-mind, Sarah Paul Ocampo and Rachel Kessler—but we never had to speak while performing, except through our secret language of bells, horns, and whistles, and the words we typed on the page.) For all I knew Notley might have her own pre-reading anguish too, but that’s not what we saw on stage. I had the distinct impression she wasn’t reading her poems—they were coming through her, oracle through sibyl. Though it wasn’t just that she was a powerful performer. Hearing her read I knew I wanted to spend more time with her (many) books too. Hearing her words I felt urged to delve deeper into the texts, to have more time to sift through the sibyl’s oak leaves left for us at the mouth of the cave. I am reading Alice Notley. She has done everything already. I wanted to write an epic in which the hero was a woman. The epic was held as the epitome of writing—a hero, a man who changes everything there is by entering into combat with something. The entire history of the epic is that, in every culture. But then I found one that wasn’t like that, the Sumerian Descent of Inanna, in which the hero, Inanna, is purely interested in finding out what death is. It’s an inquisition through experience…. The way it was set up was very dreamlike. She was the hero, and what she wanted was knowledge. Perhaps this time she wouldn’t call herself something like Helen; perhaps instead there might be recovered some sense of what mind was like before Homer, before the world went haywire & women were denied participation in the design and making of it. Perhaps someone might discover that original mind inside herself right now, in these times. Anyone might. Dreamers dreaming within dreams. An eyeball opens on the subway car floor. A woman who strips until her face, then whole body, becomes a bird. Disembodied voices whisper of revolution, of fathers and mothers. An owl, a “simple owl,” as big as a subway car. A subway car filled with blood. 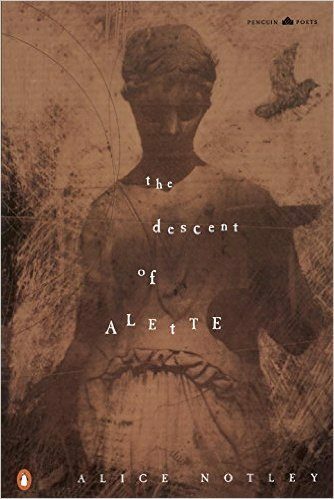 A painter who paints air, and once paints color on a bat’s wing, desperate for a medium that is not controlled by “the tyrant,” the sinister figure who haunts the book’s narrative, because he “owns form.” A giant snake that sleeps in the subterranean shadows but wakes just long enough to whisper to Alette, “‘When I was’ ‘the train’ “When I was’ ‘the train…’.” And this is just in Book One! And that’s not even the wildest part! Each poem in this book is like entering a dream. Not like hearing the story of someone’s dream retold, but the more difficult task, nearly impossible, of what a dream feels like from the inside. Like a dream the poems are luminous and full of portent, even when little is happening overtly, or even when they feel like a nightmare, operating by their own logic. Examples of things I like about dreams: you don’t have to walk a long way to get somewhere; you see people in them you’ve never seen before; there is no closure; poems and songs come to you that you don’t have to take the trouble to write. There is a magic place one can go to to write poems: thus the title of my new book, Certain Magical Acts. A dream is just something else you did; what happened in it is something else that happened…. When I read one of my longer books that contains a lot of dream mixed with material made up on the spot, I can’t always remember which parts I dreamed and which parts I made up. I sometimes suspect we dreamed this world into existence, dream our societies and our lives. Which brings us back to form, and how this series of poems build their “ravishing sound,” their particular, peculiar music—and the question I have been dancing around: what is happening with this punctuation? The whole book of Descent of Alette is written this way. After awhile I stopped noticing it as strange, though it never stopped affecting how I read the poems, even just to myself: slowed down, hesitant, breathless—whispered, channeled, careful—overheard, straining to listen—each moment arriving piece by piece, the journey a deliberate step by step. As if each phrase is arriving to us from over a long distance, via a telegraphic system employed by spirits and ghosts [stop]. A word about the quotation marks. People ask about them, in the beginning; in the process of giving themselves up to reading the poem, they become comfortable with them, without necessarily thinking precisely why they’re there. But they’re there, mostly, to measure the poem. The phrases they enclose are poetic feet. If I had simply left white spaces between the phrases, the phrase would be rushed by the reader—read too fast for my musical intention. The quotation marks make the reader slow down and silently articulate—not slur over mentally—the phrases at the pace, and with the stresses, I intend. They also distance the narrative from myself, the author: I am not Alette. Finally they may remind the reader that each phrase is a thing said by a voice: this is not a thought, or a record of thought-process, this is a story, told. Maybe it’s because all of Alice Notley’s poems seem to have children in them. She is always a mother. Graham, on the other hand, has a pre-mother self or a non-mothering mind she can access. That had never occurred to me. Reading Notley in my 20’s, I did register in some way that she was a mother: knew that she had been married to fellow poet Ted Berrigan, and that their two sons Anselm and Edmund are both poets in their own rights—and I even remember enjoying in particular the way some of her poems embed conversations with children into their language, and include fragments of child-born linguistic strangenesses in their texture. (“Mommy what’s this fork doing? / What? / It’s being Donald Duck,” Alice Notley, “January,” Selected Poems of Alice Notley). But the very fact that children are present in the work, that Notley chose to include them and their voices in the poems’ world, and included, too, the shifting and overlapping territories of perspective from being woman-poet-mother-mind—I hadn’t paid attention to that. Because on some level of course these things would be included, in the range of human experiences. But also, it is still a question, posed by society, internalized, the supposed divide: Am I poet? Or a mother? A self? Or a mother? A mind? Or a mother? in the whole long universe? It must have seemed so integrated into her writing I had not registered it as radical, or unusual, to leave those parts in: the parenting, the interrupting, the strange and vibrant language strings of talking to children, the weirdness of self, un-self, the body, whose body, the pronouns of being someone’s mother. I’ll look up “love” in the dictionary. They’re beautiful. Bob Dylan Bob Creeley Bob Rosenthal Bob on Sesame Street. Oh I can’t think of any other Bobs right now. garbage. “Are you writing poems about him? About this experience?” people ask me about my baby, about having a baby. I am and am not. Some poems about, some poems diffused, in others (decidedly? “a non-mothering mind”?) not. But also, why not? As for how raising kids informed my writing, I had been from my time in Chicago the only poet I knew of who used the details of pregnancy and motherhood as a direct, pervading subject in poems, on a daily basis, as if it were true that half the people in the world gave birth to others and everyone had been born. As far as I’m concerned, I’m the first person who ever wrote such poems, and feel as if I could probably document the fact. I was a freak and a pioneer. In New York the kids were a little older and more articulate; they became part of the poems which included my friends and the city. Up at 2:00 a.m., 4:00 a.m., walking with the baby around the kitchen, I can see from our back window cab lights on in some of the trucks parked down by the industrial buildings. Who is up at these odd hours? All the mothers and long-haul truckers. Lonely jobs, in a way, isolating, but also much singing, covering the distance. Maybe all mothers are faking it, making it, making it up. Whitens and swallows its dull stars…. All mothers inventors, inventors of the world. Motherhood. The -hood is a state of noun-ness, a position or condition, tracing back to Old English, with cognates –heit (German) and –heid (Dutch), all from Proto-Germanic *haidus, meaning literally “bright appearance,” from PIE “bright, shining.” That –hood was once a free-standing word (see hade), now in Modern English surviving only as a suffix. Like little red riding hood, Motherhood is a mythos, a mantle, something to put on. A bright and shining particle absorbed into another stat—a position, a condition—transforming it. Poetry does make for change, but it does it by being rather singular. It is involved in the creation of reality out of tiny sounds and meanings, sort of like particle physics but on the creation level. I know this sounds highfallutin, but I believe it. 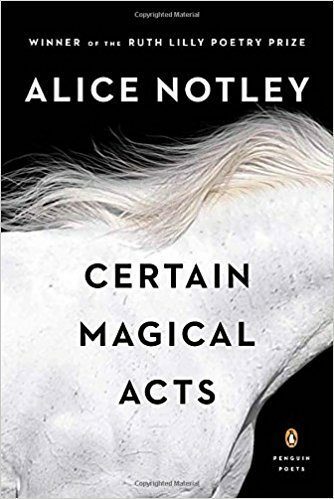 I can’t wait to see Alice Notley read on April 5th for Seattle Arts & Lectures, discovering (rediscovering) what else I have been missing in Notley, and continuing to be changed by her poetry, by her person, for decades to come.